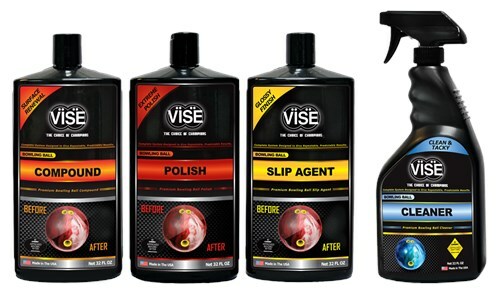 The VISE Ball Maintenance System is a kit of compound, polish, slip agent, and cleaner that will help you achieve repeatable and predictable ball reaction on the lanes. Due to the time it takes to produce the VISE Ball Maintenance System Quart Kit ball it will ship in immediately. We cannot ship this ball outside the United States.